One of the best parts about Spring Training by far has to be the awesome coverage. The Cardinals do such a top-notch job of bringing daily stories that I feel honored to even have a small part in getting to share all that is a passion for us. This time of year everyone is optimistic but the truth becomes only a few are able to help in St. Louis when it matters. 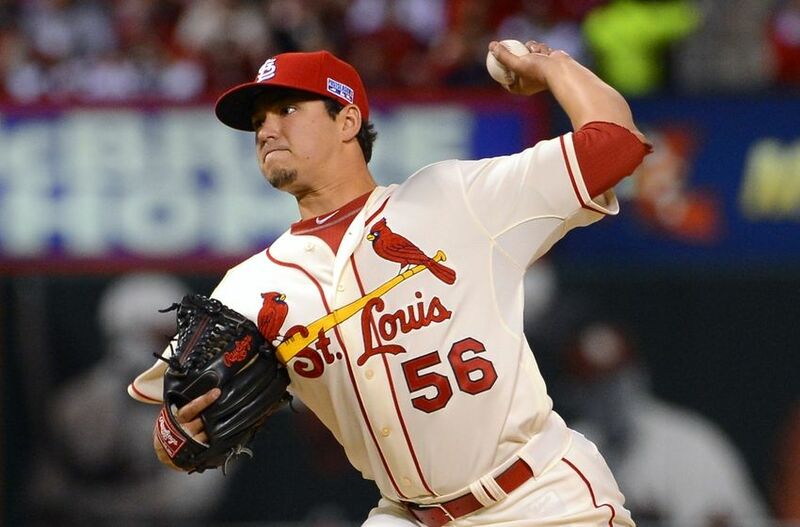 Marco Gonzales and Randal Grichuk were expected to contribute last year but doubt many figured they would be getting the call in the crucial postseason spots. Fast-forward a few months and both could start at Memphis instead of Chicago. That’s the nature of the beast and certainly something we’ll be watching closely the next month. Tonight is all about looking into that crystal ball, though, and the future couldn’t be any brighter for one player while two others have decidedly different views on making it to the show. This article got me thinking roster construction instead of failed prospects, and that bodes well for one of the more unlikely rising stars for the Cardinals. Sam Tuivailala probably won’t break camp with the big club, but that is the least of his concerns because it is how you finish that matters. The converted infielder put it all together last season, but that only gets him an invite to the party. Tuivailala now aims to do something very few 22-year old relief pitchers ever get to try, and he will do so with one single goal in mind. I have him projected to pitch the 9th for Memphis, and that is a significant increase in responsibility no matter how you view bullpen roles. Don’t be shocked, however, if St. Louis comes calling on Tuivailala at the first sign of trouble earlier than expected. A number of Redbirds will get very used to living out of a bag and seeing the Arch coming and going more times than they would prefer to count. For the top hitting and pitching prospect in Memphis, that first call may take quite a bit longer but will be just as sweet. Stephen Piscotty and Tim Cooney share more in common than just address and age entering year two in AAA. The pair turned 24 over the Winter and earned their shot in camp as non-roster invites. In theory an amazing March or an injury could give either one a bench role but of course, it won’t be that easy. Neither has a spot currently on the 40-man roster and will need more than a few bounces to go their way to see time with the Cardinals.